Upon your arrival to Moscow you will be met by our friendly and courteous driver. 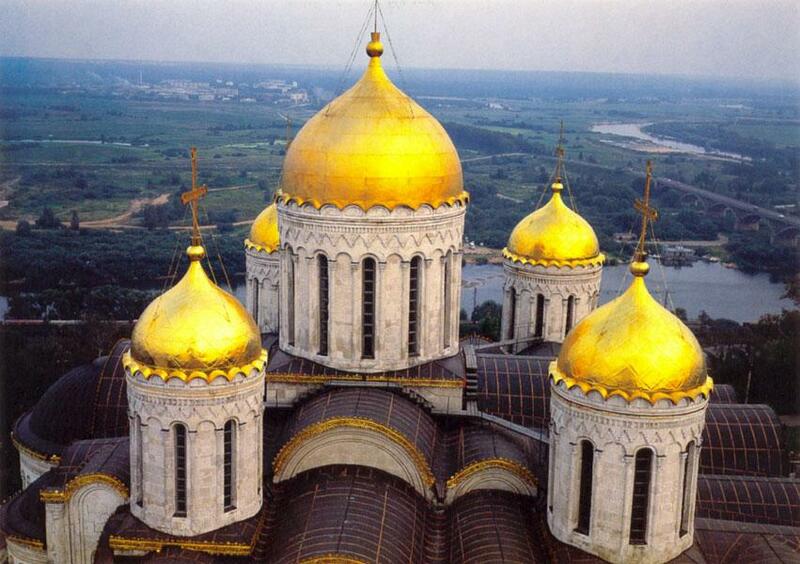 While the transfer to your accommodation you will have a first glimpse on the Gold-Domed Capital of Russia. This walking guided city tour shows you around the city center of Moscow. During this excursion you’ll get a good account of the history, architecture and main landmarks of the city. There will be some stops for photographing.The tour starts at Tverskaya Street—one of the main and most exciting of all streets in Moscow. It leads to the heart of the city—the Kremlin and Red Square. You will see the Red Square with the History Museum, the Trading Arcades of GUM, Lenin’s Mausoleum and, of course, the symbol of Moscow—St. Basil’s cathedral. Enjoying the best panoramic views of the Kremlin, you will cross the river and come to the lovely park in the Bolotnaya (Swamp) Square (although it bears no resemblance to a swamp anymore).Then you will take a stroll to the symbol of the Stalin's rule—"The House on the Embankment", a grey monster with ill fame. It was the residence of the Soviet “aristocracy”. From the Bolshoy Kamenny (Big Stone) Bridge, you will have a splendid view of Christ the Savior Cathedral, which has an extremely colourful history. Here, you will be able to take panoramic pictures of the Kremlin’s Cathedrals and the Grand Kremlin Palace. Then you will have the opportunity to relax in the Alexander Garden and watch the change of guards at the Tomb of Unknown Soldier. Enjoy your breakfast at the hotel and get ready for the day! Our guide will meet you at the reception of the hotel with the sign with your name on it. During this tour you will visit two towns of the so-called “Golden Ring” – Suzdal and Vladimir. First you will be taken to Vladimir that is a town of big history and architectural pearls such as the Assumption Cathedral, St. Demetrius Cathedral, Golden Gates. And then you will be brought to Suzdal – a small and quiet town that in Old Russian times was a capital of a big principality. There you will have an opportunity to enjoy its 33 churches, white stoned Kremlin and ancient wooden buildings. Tour includes visit to the Kremlin grounds among which you’ll admire the architectural masterpiece - the Cross-Vaulted Chamber. You will visit of the first line of the Moscow metro. It was opened in 1935 and connected 13 stations. Nowadays, Moscow metro has about 150 stations and it is considered to be one of the most beautiful undergrounds in the world. You will be stopping and getting off at its most beautiful stations.You will also visit the old part of Moscow. As part of the tour you will take a walk down the Old Arbat, a picturesque pedestrian street where you can stop to watch one of the many street entertainers and buy souvenirs. In the 18th century, the Arbat came to be regarded by the Russian nobility as the most prestigious residential area in Moscow. Nowadays, the Old Arbat is one of Moscow’s most popular tourist areas and home to an eclectic range of shops, cafes, bars and restaurants. Now, you'll say goodbye to Moscow. And we hope to see you back sometime in the future!